It’s hard to get tired of Valve’s SteamVR Home when the company keeps pumping out high-quality spaces like Gulping Goat and Candy Emporium as of late. Now on Steam Workshop, the company’s open marketplace for environmental additions and asset packs, Valve has pushed out a new environment called ‘Winter Peak’ that puts you in a frosty winter wonderland befitting the season. 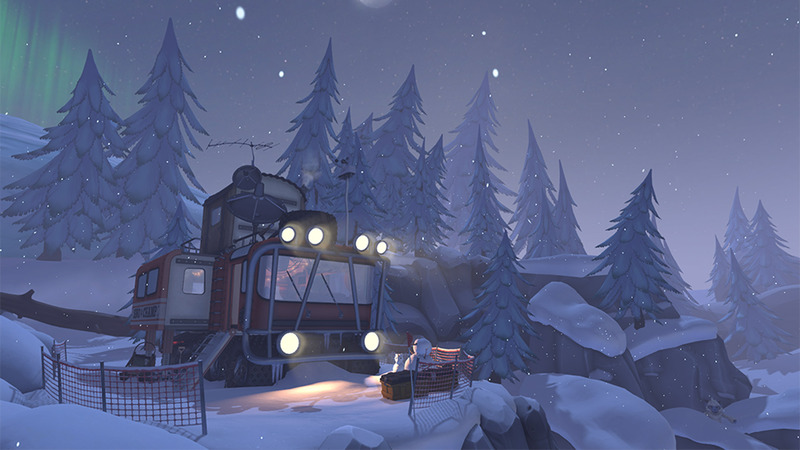 Winter Peak was produced in collaboration with VR studio Scraggy Rascal Games, which also had a hand in Valve’s latest SteamVR Home environments Candy Emporium and Gulping Goat. Venture forth from the cozy warmth of the rover, and feel the frost in the air as you trek out onto the snowy bluff. You may find the local wildlife somewhat shy and elusive, so please maintain a respectful distance to avoid scaring them off. Valve says in a news update that they’re making making Winter Peak available as an Asset Pack so that users can remix and create your own map using the models, textures, and sounds. To get started making your own remixed Home environment using this and other Asset packs, check out this guide from Valve.